With the 2019 World Cup round the corner, people have been predicting the show-piece event to be MS Dhoni's last international outing but Sourav Ganguly thinks otherwise. 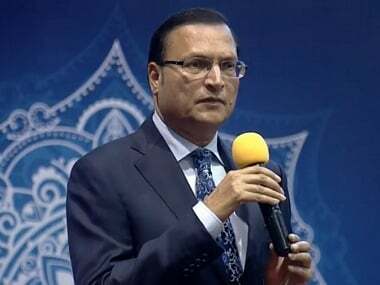 Kolkata: Former India captain Sourav Ganguly on Thursday backed veteran Mahendra Singh Dhoni to continue after the upcoming ODI World Cup, saying if someone has talent "age is not a factor". With the World Cup round the corner, people have been predicting the show-piece event to be Dhoni's last international outing but Ganguly thinks otherwise. 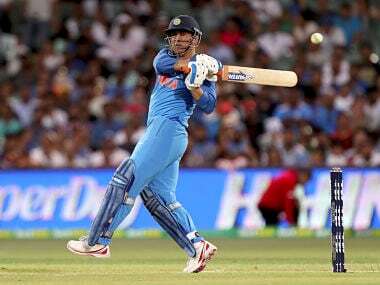 "Dhoni can continue after the World Cup. If India wins the Cup and Dhoni performs consistently then why should he retire. Age is never a factor if talent is there," Ganguly told PTI. 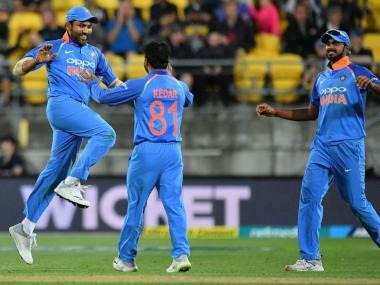 Ganguly termed the current Indian pace attack as "fantastic" and said the duo of Jasprit Bumrah and Mohammed Shami will play a crucial role during the World Cup. "The Indian pace attack is fantastic. Whether its Bumrah or Shami, the Indian pacers are performing consistently. The pacers will play an important factor for the team in England," said Ganguly. According to Ganguly, Umesh Yadav will go to the World Cup as fourth pacer after Bhuvneshwar Kumar. Shikhar Dhawan might be going through a lean patch off late, but Ganguly backed the aggressive left-hander to partner Rohit Sharma up the order. "The opening combination should not be tweaked. Rohit Sharma and Shikhar Dhawan are the ideal pair to give India a fast start. But K L Rahul is also there," he said. 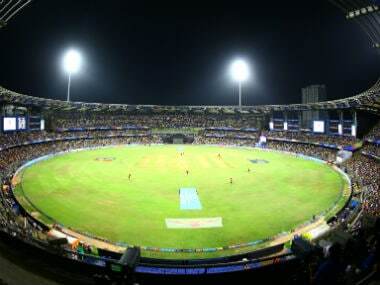 "Shikhar and Rohit should open. Other than the two, Rahul is another batsman who can open." Ganguly feels in-form India skipper Virat Kohli should continue to bat at the crucial no.3 position followed by Ambatti Rayudu, Dhoni and Kedar Jadhav. "Virat is being Virat. He is on top of his game," he said. "Virat should bat in is usual number 3 slot. Rayudu at 4, Dhoni at 5 and Kedar at number 6." The resurgence of Vijay Shankar will prove to be a headache for the selectors, opines Ganguly, adding that Ravindra Jadeja shouldn't be considered for selection in the World Cup squad at the cost of the Tamil Nadu all-rounder. "Ravindra Jadeja should not be in the World Cup team. Vijay Shankar bowled beautifully in the Nagpur match. I think Vijay deserves his World Cup spot," he said. 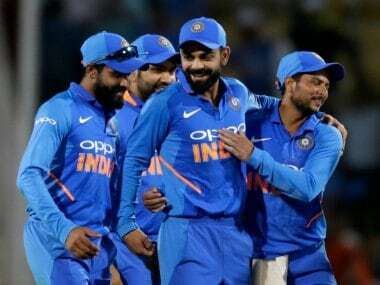 Ganguly reiterated that India are among one of the favourites to win the World Cup, starting 30 May at the Oval, London. "India are one of the favourites for sure. But West Indies, New Zealand, Sri Lanka are also there in the mix. Recently Sri Lanka have been in terrific form. 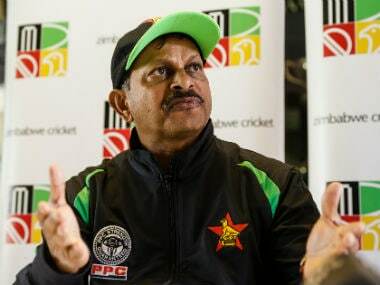 They defeated South Africa. 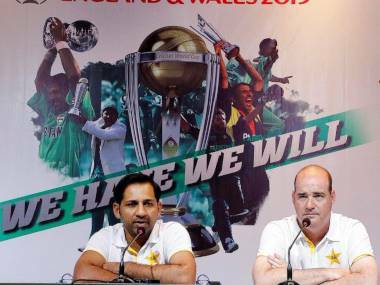 I think it will be a superb World Cup," he said. Australia may be going through one of their worst phases but Ganguly still believes the return of Steve Smith and David Warner will be a big boost for the reigning world champions. "Australia may be going through a rough patch. But there is no doubt that the return of Smith and Warner will change the entire complexion of the team and with Maxwell already there, they will be a totally different outfit," he said. Ganguly feels it's too early to predict India's playing XI in the World Cup but has picked up his 15-man probable squad. 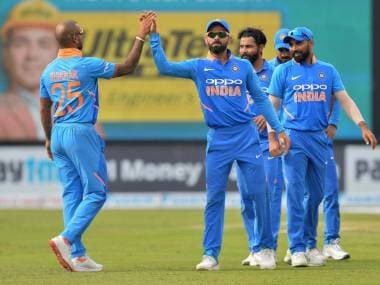 "My squad will be -- Rohit sharma, Shikhar Dhawan, K L Rahul, Virat Kohli, Ambati Rayudu, Mahendra Singh Dhoni, Kedar Yadav, Hardik Pandya, Vijay Shankar, Kuldeep Yadav, Yuzvendra Chahal, Jasprit Bumrah, Mohammed Shami, Bhuvneshwar Kumar and Umesh Yadav," he concluded.